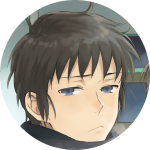 Welcome to the thread for Sicari Remastered! If you've saw me at C3, you'll know I've made the decision to remake Sicari for various reasons. 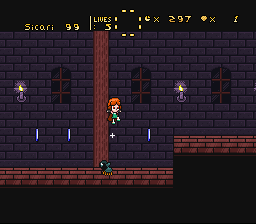 Other than being a graphical update to suit my modern style, this hack will also be fixing many issues and problems that were present in the original hack. Uh - that list is too long to post here though. You probably came here for the screenshots - here they are! 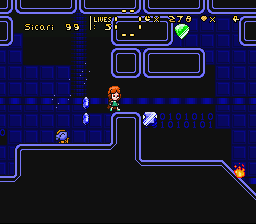 Sicari has been redesigned since the first hack. Like all of my other characters, her head is now much smaller, and her arms and legs are longer. Her hair is also a bit different too. 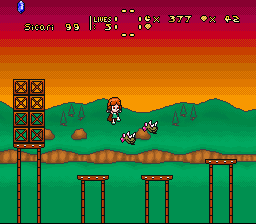 A common complaint about this level was that the birds didn't look dangerous, and that it wasn't obvious they couldn't be jumped on! That should be fixed now, as the birds have spiky backs. 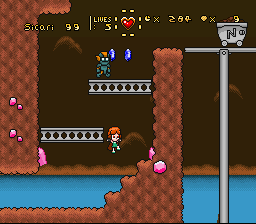 The mist also isn't showing up for some reason, but it's okay, as I'm renaming some levels anyway. 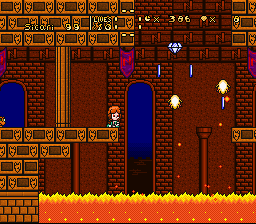 The original version of this level looked horrendous, and the background was just a darker version of the foreground bricks. I'm actually rather pleased with how it turned out this time around. Anyway, that's all for now. 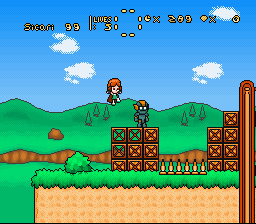 My updates here probably won't be very frequent, as my main priority is "K-16 - Story of Steel" but I promise to show off all the levels I can. Anyway, please comment and give feedback! Hello Eevee your hack look promising!I need see more about it. 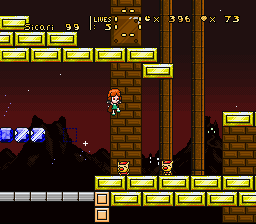 In the level 1-2 have a red thing in the blocks, what's that? In the level 1-5 because have one saphirre? Oh, thanks YayGuy, I'm glad you're liking this! The red thing in the blocks is actually a hidden heart. 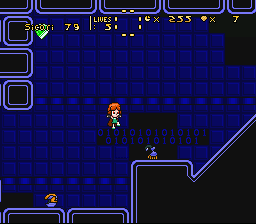 Some of the blocks are fake and you can run through them to get that heart. Sorry, but I'm not sure what you're asking about the sapphire. What the heart do? Same as a live? The heart gives you 20 HP when you collect it. 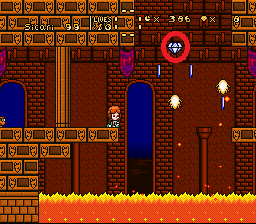 That's a diamond and it's a replacement for Yoshi coins. Even though many people already said it, I'll say it again; Your graphics are very well made, but of course, since I'm supposed to find a mistake in everything, (cause I am really picky) (also I were not being serious, but seriously, I may be overlooking, I am sorry if you think I am overlooking) in the first level, some objects are behind the grass, and sometimes, the grass is behind the objects. Nothing important, but I found it weird for some reason. 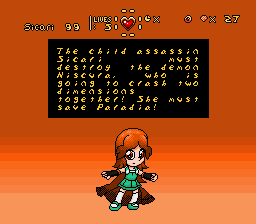 Also, the layer 3 font is not looking that readable, sorry. It sure is not bad, but I find it pretty hard to read it. I must get closer to the computer screen to read it easily. 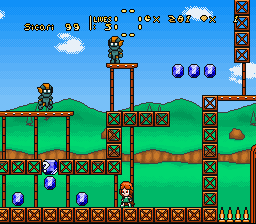 Oh, sorry, I did not play the original Sicari so I don't know much about it, but still, good luck! I've got another update! I have no screenshots today, however I DO have some information for you all. It's regarding levels! Here is a list of the all levels in this hack. Ones marked with a * are new levels. 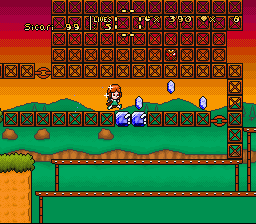 You'll also notice most of the old levels have been renamed. New graphics and new levels? It sounds like you're really giving this older hack of yours some good tlc! It definitely shows in the screenshots. How far along would you say your are with this remastering project? I know its not your priority, but it looks like it will be really fun to play once it's all done! 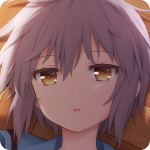 A remaster nice the original was really good this is going to be very nice. Can't wait to see more. How far along would you say your are with this remastering project? 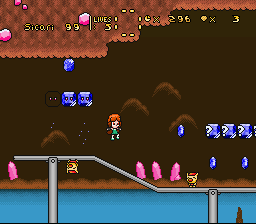 Anyway, here are some screenshots of the first new level - The Crystal Mines. These mines are built over a huge underground lake, and were previously abandoned before Niscura took over and continued their operations. 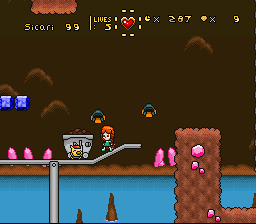 Remember the mine cart levels in DKC? 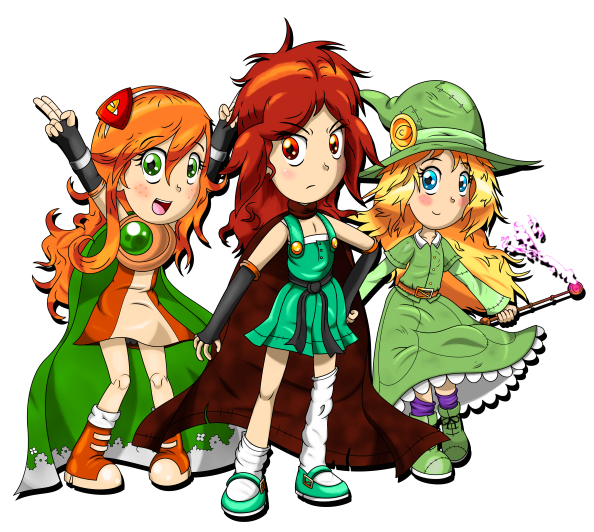 I really miss them in 16 bit glory. Having them here is amazing!! Good job. I really enjoy looking at the new screens. 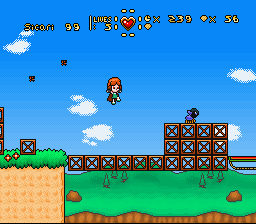 The palettes and ExGFX work perfectly together and it's just overall really fun to look at. 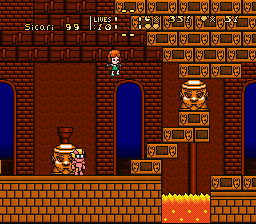 A sneak peak of World 2's new level "Alone in the Dark"
Please excuse the level design here, as I've only just thrown the tileset together. The portraits depict Niscura and Crimson. Presenting "Techno Time" which is a remake of "Cyberspace Run" from the original. 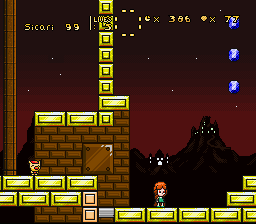 As you can see, the level now has a proper background. 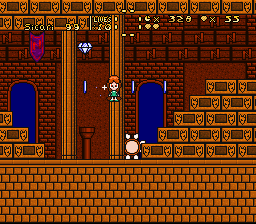 The ground tiles are very similar to the original, however they have been reshaded and you can no longer see the background behind them. 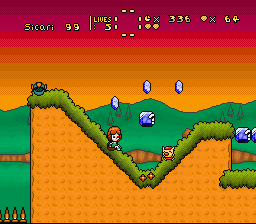 What you probably didn't notice is that the foreground and background are ExAnimated. 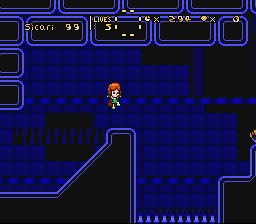 This gives the level more of a technological feel to it. 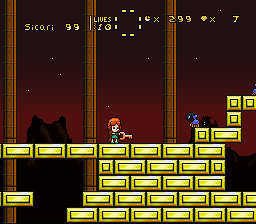 This is also one of the levels I plan to extend, as the original was very short. Those "yoshi-coins" are sure amazing. Well, the colors look nice. We just need to give Sicari a light motorcycle now. You've had more than enough chances. Please go enjoy your life elsewhere and have a nice day. Well after all i won't play this. 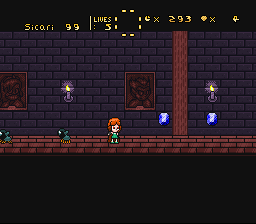 I already completed Sicari and it will be the same stuff. That fire graphic is unchanged. The same person? Oh nevermind.